A celebration of theatre at its best! Written by four-time Tony winner Terrence McNally, last seen on Broadway in 2015, It’s Only a Play details the opening night anxiety of a new Broadway play. With the playwright’s career hanging in the balance, a group of insiders have staked themselves out in an upstairs bedroom to await the reviews while the party of the year rages on downstairs. 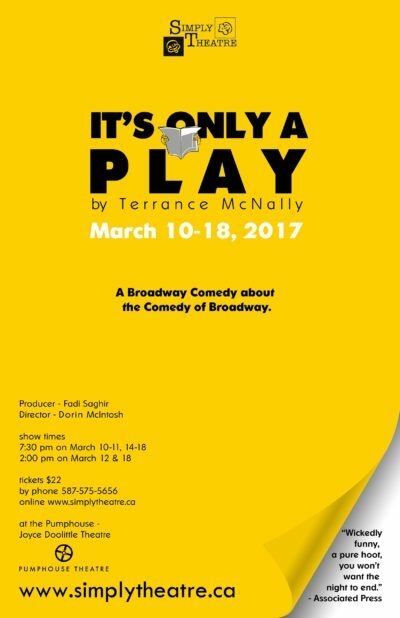 Alternately raucous, ridiculous and tender – and proves that sometimes the biggest laughs happen offstage! 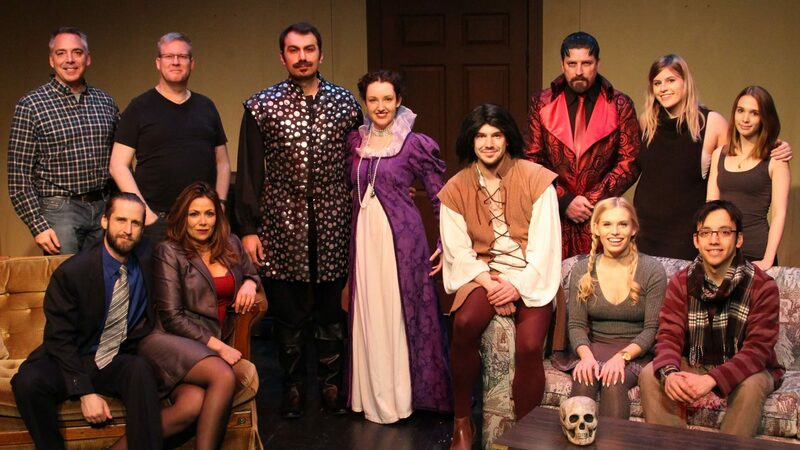 Simply Theatre is in it’s second full season in Calgary but with a history that dates back to the late nineties in London Ontario. Following their tremendous success with their first Calgary venture in 2014 – 12 Angry Men (CAT nomination for Outstanding Production) Simply Theatre then launched it’s first full season of theatre which included a lauded production on An Inspector Calls, a sold out run of Murdered to Death, an emotional fantasy adventure in She Kills Monsters (CAT nomination for Outstanding Production) and the timeless classic drama Inherit the Wind (CAT nomination for Outstanding Production). Simply Theatre – Great Stories – Brilliant Actors!